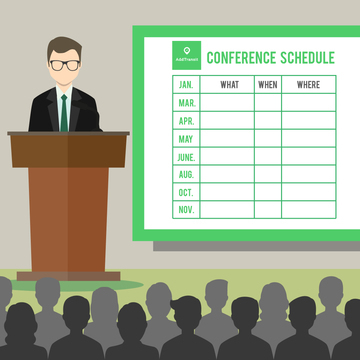 We’ve rounded up Railway Conferences for all of 2016! Make sure to register early so you don’t miss out on all the great information and networking opportunities. Visit the Light Rail 2016 website for more information. Visit the 4th Railway Forum website for more information. Visit the Waterfront Conference Company for more information. Visit the Expo Ferraviaria website for more information. Visit the Infarail website for more information. Visit the American Society of Mechanical Engineers website for more information. Visit the Rail Safety Seminar and Expo website for more information. Visit the Smart Rail Europe website for more information. Visit the Rail Summits website for more information. Visit the Core2016 website for more information. Visit the Rail Power website for more information. Visit the World Metro Rail Congress website for more information. Visit the American Public Transportation Association website for more information. Visit the American Railway Engineering and Maintenence of way Association website for more information. Did we miss one? Let us know and we’ll add it!